TIME TO STOP DREAMING. 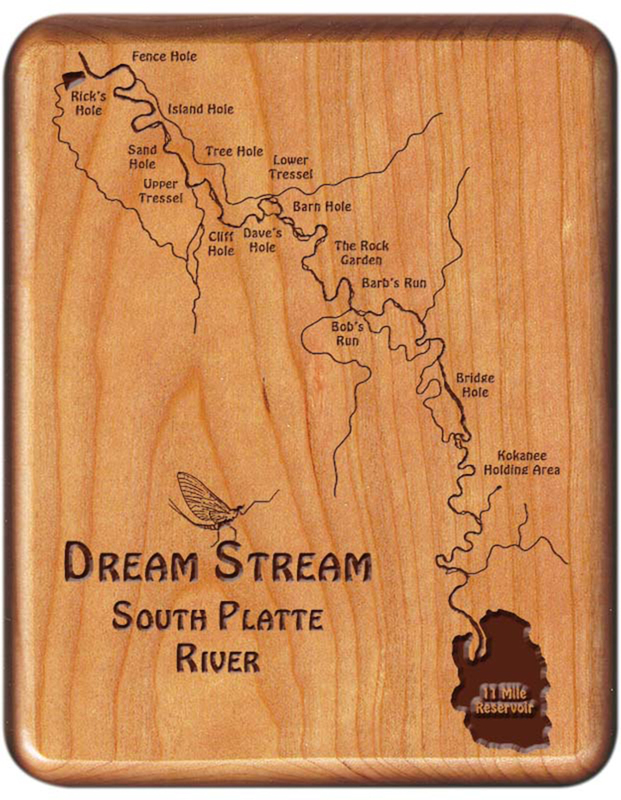 Dan has just designed the Dream Stream of the South Platte in Colorado. All you need to do is load it with your Dream Stream Fly Fishing favorite flies, and you will be ready for the 2018 Fly Fishing Season! The 2018 Fly Fishing Season has arrived on the Dream Stream of the South Platte River in South Park, CO. Now is the time to load up the fly box and start planning your fly fishing trip to one of the most famous fly fishing rivers in Colorado. Live your dream this season; go in pursuit of this rivers trophy brown trout, cutthroat, and rainbows!! For the right flies to use and the best spots to fish, you will want to check with local fly fishing and guide services before venturing out. If you’re heading out this winter, be sure to dress in your cold weather gear! Do you want to say thank you to someone for helping to make this dream come true?? Our beautiful Dream Stream River Map Fly Box with that certain someone’s name and a personal inscription engraved on the back is just the thing. We can even engrave a photo of that trophy trout that was landed on the back of the fly box. There is a small custom art fee for turning photos into engraving art. 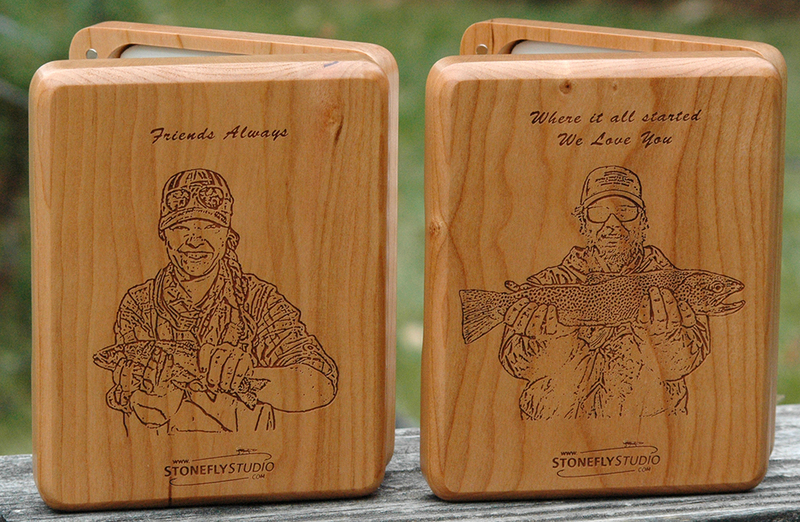 Stonefly Studio’s River Map Fly Boxes Includes Personalized Back. Our Custom Designed, Laser Engraved River Map Fly Boxes are Handcrafted from handpicked boards of Beech, Cherry, Mahogany, Maple, or Walnut Wood. 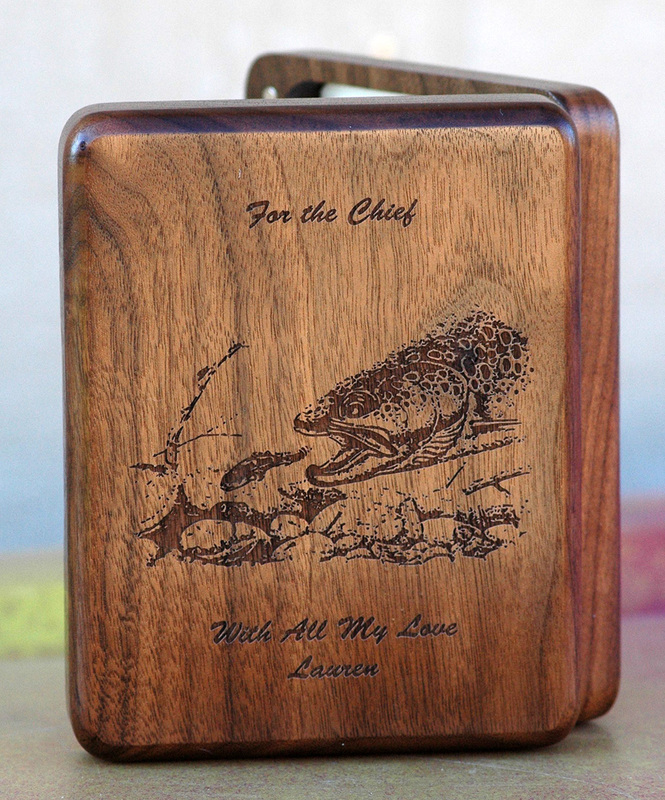 Each Fly Box Includes a Choice of Fish Artwork, plus a name and inscription engraved on the back BECAUSE WE BELIEVE LIFE SHOULD BE PERSONAL!